There have been several Movie Wisdom posts. Some of them have focused on leading actors, and others have focused on character players. This one covers the movies of one of the all time great character actors. 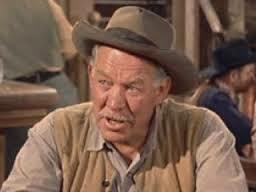 Ward Bond appeared in a ton of classics, but this list only includes the ones I have seen. Let us see what wisdom can be found in the works of Ward Bond. A fellow ain’t got a soul of his own, just little piece of a big soul, the one big soul that belongs to everybody. Seems like the government’s got more interest in a dead man than a live one. Maybe there ain’t no sin and there ain’t no virtue, they’s just what people does. Well, a woman can change better’n a man. Takes no nerve to do something, ain’t nothin’ else you can do. Talking’s something you can’t do judiciously, unless you keep in practice. The best goodbyes are short. A man oughta do what he thinks is best. Women always figure every man comes along wants ’em. There’s only two things in this world that a ‘real man’ needs: a cup of coffee and a good smoke. When a fire burns itself out, all you have left is ashes. A man who can’t hold on to a glass should drink like a baby from a bottle. Figure a man’s only good for one oath at a time. Man gets shot that’s got a gun, there’s room for reasonable doubt. There are a ton of lists about the greatest things that ever were. Books. TV shows. Cars. It goes on and on. 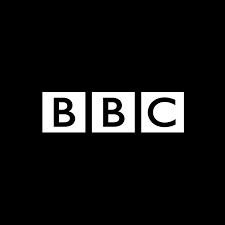 Recently, BBC added to the list of lists by announcing the 100 greatest American movies of all time. According to the article, film critics from around the world provided their opinions. To create this post, I decided to list the movies I have seen and include my favorite line from each one. 91. ET: The Extraterrestrial – I just hope we don’t wake up on Mars or something surrounded by millions of little squashy guys. 90. Apocalypse Now – Charlie don’t surf! 84. Deliverance – Sometimes you have to lose yourself ‘fore you can find anything. 82. Raiders of the Lost Ark – Bad dates. 78. Schindler’s List – There will be generations because of what you did. 76. The Empire Strikes Back – Never tell me the odds. 75. Close Encounters of the Third Kind – Einstein was probably one of them. 74. Forrest Gump – Anyway, like I was sayin’, shrimp is the fruit of the sea. You can barbecue it, boil it, broil it, bake it, saute it. Dey’s uh, shrimp-kabobs, shrimp creole, shrimp gumbo. Pan fried, deep-fried, stir-fried. There’s pineapple shrimp, lemon shrimp, coconut shrimp, pepper shrimp, shrimp soup, shrimp stew, shrimp salad, shrimp and potatoes, shrimp burger, shrimp sandwich. That- that’s about it. 73. Network – I’m as mad as hell and I’m not going to take this anymore. 66. Red River – Well, I don’t like to see things goin’ good or bad. I like ’em in between. 65. The Right Stuff – Hey, Ridley, ya got any Beeman’s? 61. Eyes Wide Shut – Life goes on. It always does, until it doesn’t. 56. Back to the Future – I guess you guys aren’t ready for that yet. But your kids are gonna love it. 55. The Graduate – Plastics. 52. The Wild Bunch – We all dream of being a child again, even the worst of us. Perhaps the worst most of all. 46. It’s a Wonderful Life – Ah, youth is wasted on the wrong people. 45. 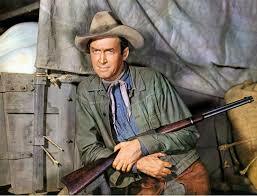 The Man Who Shot Liberty Valance – Nothing’s too good for the man who shot Liberty Valance. 42. Dr. Strangelove – Gentlemen, you can’t fight in here! This is the War Room. 41. Rio Bravo – If I ever saw a man holdin’ a bull by the tail, you’re it. 38. Jaws – Well it proves one thing, Mr. Hooper. It proves that you wealthy college boys don’t have the education enough to admit when you’re wrong. 36. Star Wars – Hokey religions and ancient weapons are no match for a good blaster at your side, kid. 34. The Wizard of Oz – That’s a horse of a different color! 21. Mulholland Drive – I got the pool, she got the pool-man. 20. Goodfellas – Jimmy was the kind of guy that rooted for bad guys in the movies. 16. McCabe and Mrs. Miller – I got poetry in me! 14. Nashville – Who do you think is running Congress? Farmers? Engineers? Teachers? Businessmen? No, my friends. Congress is run by lawyers. A lawyer is trained for two things and two things only. To clarify – that’s one. And to confuse – that’s the other. 13. North by Northwest – In the world of advertising, there’s no such thing as a lie. There’s only expedient exaggeration. 10. The Godfather Part II – If anything in this life is certain, if history has taught us anything, it is that you can kill anyone. 9. Casablanca – Everybody comes to Rick’s. 5. The Searchers – That’ll be the day. 4. 2001: A Space Odyssey – It can only be attributable to human error. 2. The Godfather – Leave the gun. Take the cannoli. 1. Citizen Kane – Those are the only terms anybody ever knows – his own. That makes 35 out of 100. Looks like I need to watch a few more. The folks at Entertainment Weekly just came out with a bunch of lists. The 100 greatest television shows. The 100 greatest novels. The 100 greatest albums. The 100 greatest lists of great things in popular culture. It is perfect fodder for “Listeria”, the ongoing examination of our fascination with lists. This is an examination of the magazine’s list of the 100 greatest movies, or, as my dad used to call them, the picture show. When I was a kid, he would ask if I wanted to go to the picture show because he knew it drove me crazy. For those who don’t know, the picture show was a southern term for the movies. He said a lot of other things to drive me crazy, but that one was a sure thing. Never fear, I am not going to write about 100 movies. I am going to list the ones that I have seen. To add some texture, I think I will include my favorite thing about each one. Oh, there will also be a little trivia at the end. 19. Pulp Fiction (1994) – The path of the righteous man is beset on all sides by the inequities of the selfish and the tyranny of evil men. Blessed is he who, in the name of charity and good will, shepherds the weak through the valley of darkness, for he is truly his brother’s keeper and the finder of lost children. And I will strike down upon thee with great vengeance and furious anger those who would attempt to poison and destroy My brothers. And you will know My name is the Lord when I lay My vengeance upon thee. 69. Dr. Strangelove or: How I Learned to Stop Worrying and Love the Bomb (1964) – Slim Pickens riding the bomb. 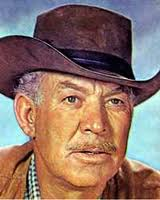 Trivia – Ward Bond (pictured above) was in at least 5 of the top 1oo movies. This includes 3 of the top 12.